The Australian government has been fit in their wisdom to implement a new Mandatory Data Retention scheme, which has taken effect from the 13th of October 2015 – This means that Telcos and ISPs like Telstra, Optus, and Vodaphone are being forced to keep data your about internet and phone use for two years, so they can give the government warrantless access to your information whenever they feel like it. Everyone has the right to online privacy. ISPs and governments should not be allowed to spy on their customers and citizens, or give your sensitive information away. In order to stop the government and your ISP spying on you – you need a VPN. 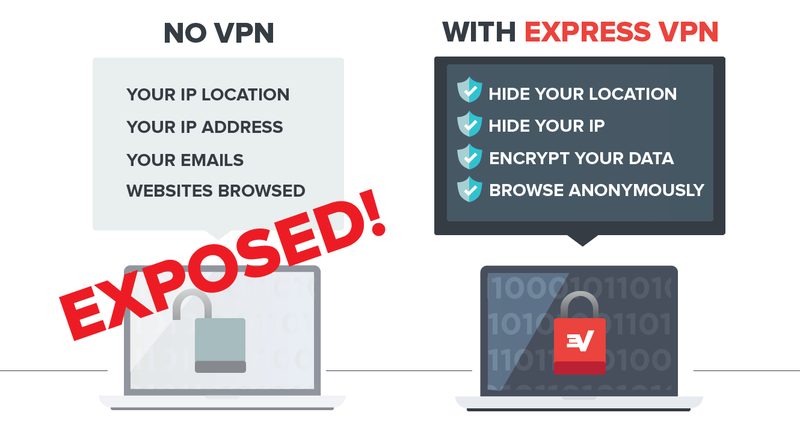 ExpressVPN provide a great service and have created this simple but powerful graphic to convey this message. If you don’t have a VPN yet, don’t fear – you can quickly and easily get one setup. Check out our VPN Review page and make your selection, there are free VPNs and there are also paid subscription services which offer better speed and protection. Don’t let yourself remain exposed.